Anushka Sharma is officially part of the Indian Cricket Team fraternity now, which means she'll often be spotted accompanying husband Virat Kohli to his cricket tours. 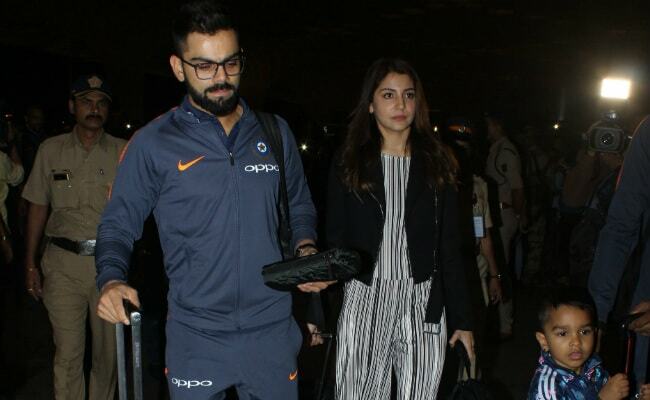 Mumbai reception done, Anushka has begun her debut trip with the Men In Blue - Virushka left for South Africa in the wee hours of Thursday along with the rest of the cricket team. Anushka Sharma and Virat Kohli were spotted at the Mumbai airport in the early hours of Thursday - Anushka was dressed comfortably in a monochrome jumpsuit at the airport while Virat was in coordination with the team's travel wardrobe. Anushka Sharma was not the only spouse on the entourage - Shikhar Dhawan's wife Aesha Dhawan was also photographed navigating the airport. The Dhawans' son Zoravar was adorably perched on his daddy's luggage and that's how he made his way through the airport. Anushka and Virat have been spotted a frequent number of times at airports this month - both together and separately. In early December, when the wedding reports were still not confirmed, Anushka flew off to Italy for the big fat destination wedding with her family in tow. After checking off engagement, mehendi, haldi and finally the shaadi in the Italian countryside of Tuscany, the newly-married couple touched down in Delhi, just in time for their first reception. Delhi reception done, they flew in to destination Mumbai on Friday for the second reception. 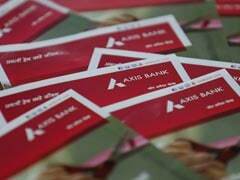 Talking about Virat and Anushka's reception parties - such lavish affairs they were! 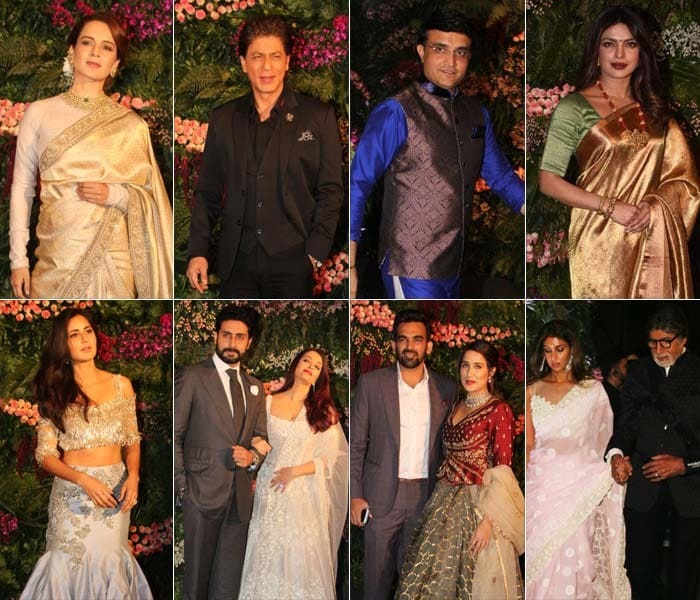 While the highlight of the Delhi reception was the presence of Prime Minister Narendra Modi, the one in Mumbai witnessed a very impressive line-up of guests comprising Bollywood A-listers like the Bachchans and Shah Rukh Khan, and also bigwigs of the cricket world. The India Tour of South Africa is scheduled to have its first match on January 5. Ahead of which, Virushka will spend New Years together and then Virat will stay on for the series while Anushka will return home to resume work commitments - a film with Aanand L Rai, YRF's Sui Dhaaga and the promotions of Pari.